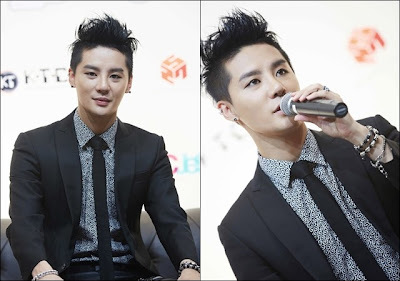 JYJ member Junsu said music is his life and the late King of Pop, Michael Jackson, had a major influence in his career. "Ever since I was a kid, music has always been in my life and it is the only thing that I know and I can do," Junsu told Grammy.com in an exclusive interview. 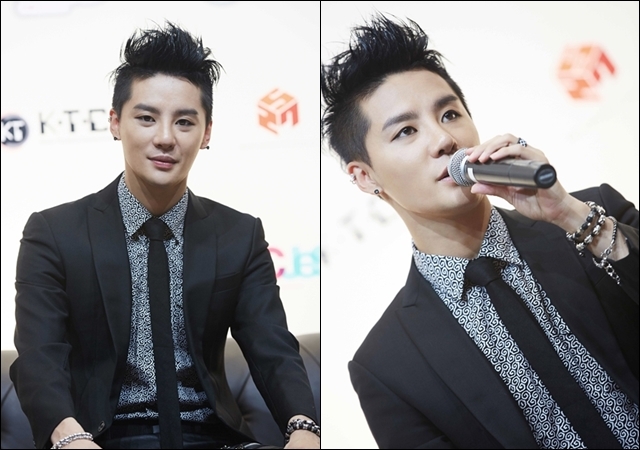 In the interview, Junsu discussed his singing career, music and his new album "Incredible." Last July 20, Junsu held his "2nd Asia Tour Concert: Incredible in Bangkok" to promote the album, which was released last July 15. The album has topped iTunes charts in nine countries including the Philippines where it zoomed to the No. 1 spot on the dance albums chart. In the Grammy.com interview, Junsu was asked to describe himself as an artist and he said he wants to be remembered as a "timeless artist." "In my earlier career, I used to think about how I need to get to the top or awards but nowadays I will be so happy if I will be remembered as a timeless artist to the fans. Ever since I was a kid, music has always been in my life and it is the only thing that I know and I can do," he said. Junsu added that he considers music as his "oldest friend." He said, "Even before I became a singer, listening to music and singing are the major part of my life. I am not trying to overestimate myself or anything but music is me. It's just music is like my oldest friend or describes myself the best. It's always been with me and will be for the rest of my life." He said in his career, Michael Jackson had a strong influence in his music. "My all time favorite artist is Michael Jackson and I think his influence is all over the world. All his music is timeless. It is truly incredible how all his albums sound still great. And I'm hoping to be an artist like him," he said. Junsu debuted as part of TVXQ in 2003 and then became a member of JYJ together with Jaejoong and Yoochun in 2010. He considers his debut in Korea and first performance in Japan as the biggest moments of his career. "It is hard to just pick just a few moments since there are so many great moments but if I have to, the very first debut stage (Korea) and the first time performing in Japan and the performing at the Tokyo Dome for the first time. They are all precious memories to me," he told Grammy.com. Junsu said if one wants to be a true artist, he should find his true self. "As an artist, it is the most important to find true self, which I'm still trying hard. There are so many talented people out there and many are trying to be someone who they look up to. But if you want to become a true artist, you need to find who you really are. And I know it is the hardest thing even though it sounds so simple but it is indeed very important. And you need to be diligent persistingly but it is not only as an artist but also general in life," he said. After his Bangkok concert, Junsu will perform in China on July 28. He will also hold concerts in Seoul on Aug. 3 and 4, and in Busan on Aug. 10 to 11.